To claim this profile, please confirm you are Jozee Rhodes. To follow this profile, please let us know your relationship to Jozee Rhodes. RESULTLoss Girls varsity basketball vs. Mooresville. The Plainfield varsity basketball team lost Tuesday's neutral playoff game against rival school Mooresville (IN) by a score of 63-59. This game is part of the "2018-19 IHSAA Class 4A Girls Basketball State Tournament - S12 | Terre Haute South Vigo". RESULTWin Girls varsity basketball @ Decatur Central. The Plainfield varsity basketball team won Friday's away conference game against Decatur Central (Indianapolis, IN) by a score of 57-53. The Plainfield varsity basketball team won Friday's home conference game against rival school Mooresville (IN) by a score of 52-51. RESULTWin Girls varsity basketball @ THNV. The Plainfield varsity basketball team won Monday's away non-conference game against Terre Haute North Vigo (Terre Haute, IN) by a score of 59-51. RESULTLoss Girls varsity basketball @ Greenfield-Central. The Plainfield varsity basketball team lost Tuesday's away non-conference game against Greenfield-Central (Greenfield, IN) by a score of 54-51. RESULTWin Girls varsity basketball vs. Tri-West Hendricks. The Plainfield varsity basketball team won Saturday's neutral tournament game against Tri-West Hendricks (Lizton, IN) by a score of 64-62. RESULTLoss Girls varsity basketball vs. Brownsburg. The Plainfield varsity basketball team lost Friday's neutral tournament game against Brownsburg (IN) by a score of 53-31. RESULTWin Girls varsity basketball @ Cascade. The Plainfield varsity basketball team won Wednesday's away tournament game against Cascade (Clayton, IN) by a score of 57-31. RESULTLoss Girls varsity basketball vs. Marquette Catholic. The Plainfield varsity basketball team lost Saturday's home tournament game against Marquette Catholic (Michigan City, IN) by a score of 44-36. RESULTWin Girls varsity basketball vs. Floyd Central. The Plainfield varsity basketball team won Saturday's home tournament game against Floyd Central (Floyds Knobs, IN) by a score of 39-27. Jozee's basketball stats have been updated for the loss vs. Terre Haute South Vigo. RESULTLoss Girls varsity basketball vs. THSV. The Plainfield varsity basketball team lost Friday's home non-conference game against Terre Haute South Vigo (Terre Haute, IN) by a score of 45-41. Jozee's basketball stats have been updated for the loss vs. Martinsville. RESULTLoss Girls varsity basketball vs. Martinsville. The Plainfield varsity basketball team lost Friday's home conference game against Martinsville (IN) by a score of 37-34. Jozee's basketball stats have been updated for the loss vs. Franklin Community. RESULTLoss Girls varsity basketball vs. Franklin Community. The Plainfield varsity basketball team lost Saturday's home conference game against Franklin Community (Franklin, IN) by a score of 58-36. 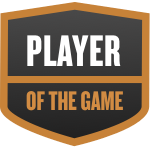 Jozee was selected the Player of the Game in the basketball game against Cathedral on Wed, Nov 28 2018. Congratulations to #5 Jozee Rhodes for being selected the Plainfield Girls Basketball Player of the Game. Jozee's basketball stats have been updated for the loss @ Whiteland. RESULTLoss Girls varsity basketball @ Whiteland. The Plainfield varsity basketball team lost Friday's away conference game against Whiteland (IN) by a score of 59-52.